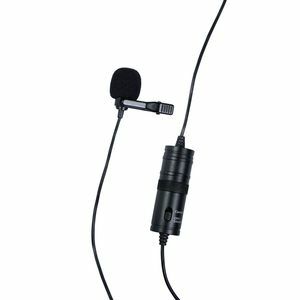 The Dorr LV-10 Lavalier Microphone is an omnidirectional condenser microphone for use with smartphones, tablets and also DSLR and system cameras. Produces high quality audio recordings which are ideal for speeches, vocals and music recordings. The microphone is insensitive to wind and ambient noise and is extremely compact and discreet to attach to clothing. Has an extra long cord length of 6m.